Here we use Charticulator to create a Weather Radial visualization, designed by Raureif GmbH. 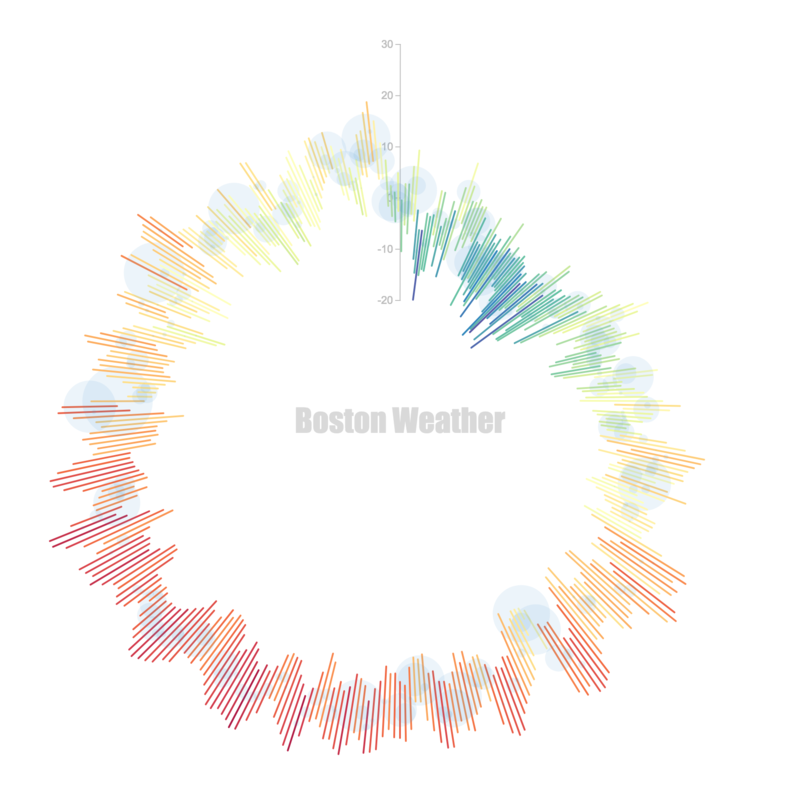 A radial chart displaying the temperature and rainfall in Boston over the course of a year. Each line represents a single day’s minimum and maximum temperature. Lines are colored by the average temperature. The blue circles represents the amount of rainfall. Data collected from the National Centers for Environmental Information; accessed May. 3th, 2018; aggregated by the authors.